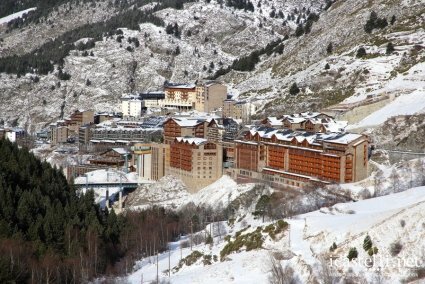 Andorra: a mix of relax and breathtaking snow. The Principality of Andorra, according to the legend, was founded by Charlemagne, and is located in the eastern Pyrenees, between France and Spain, including mountain landscapes and rivers, which contribute to make the landscape charming and of great attraction for its ski slopes considered the best ones of the Pyrenees. Andorra la Vella, which is the capital and the only real city in the principality, has a small old city centre, with its narrow streets and stone houses that seem straight out of a history book. Surely you can not miss to visit the Casa de la Vall, which is the Andorran Parliament, while among the other buildings, which are worth to be visited, we can remember Sant Joan de Casellas, Sant Roma de les Bons, Sant Cerni de Nagol, Sant Miguel d’Engolasters, Sant Climent de Pal, Sant Martí de la Cortinada, and the famous Santa Coloma Church, on the outskirts of Andorra la Vella. But the sport of skiing especially attracts many tourists, thanks to the numerous trails in the country, as Vallnord, Grandvalira and Naturalandia, which are the main destinations for those who love and practise this sport. In this regard, we recommend the Sport Hotel Hermitage & Spa, which is located in Soldeu, right next to the ski slopes of Grandvalira, which has a modern spa overlooking the mountains. It is an ideal location for all types of mountain activities and you will have the possibility of ski guides. 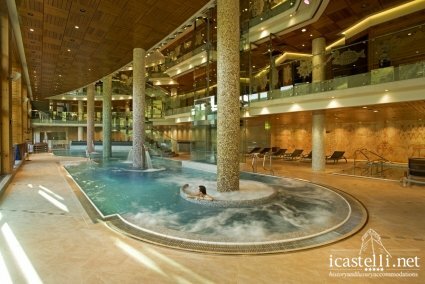 This entry was posted in Destinations, Sport and Activities and tagged holidays andorra, hotels andorra, hotels andorra la vella, hotels near grandvaliria, hotels soldeu, hotels vicino grandvalira, piste sciistiche, principatp di andorra, sport hotel hermitage & spa, vacanze andorra. Bookmark the permalink.